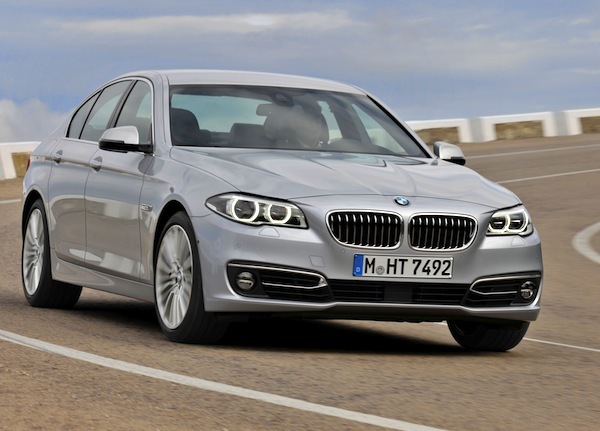 The BMW 5 Series is #1 in Ireland for the 2nd month in a row. Strange? Yep. New car sales in Ireland are up a sleek 27% year-on-year in September to a still limited 3,170 registrations, bringing the year-to-date total to 71,707 units, down 6% on 2012. September is turning out to be BMW’s month in Ireland: while last year the 3 Series was the #1 model in the country, this time it’s the 5 Series that takes this honour thanks to 223 sales and a huge 7% market share. This is the 2nd month in a row the 5 Series tops the sales charts in Ireland which is starting to look rather strange if you ask me. BMW Ireland ignored my query for explanations last month and unless they have secured a big rental or long-term lease contract I’m at a loss to explain this performance. If you know something I don’t, please comment on this article. 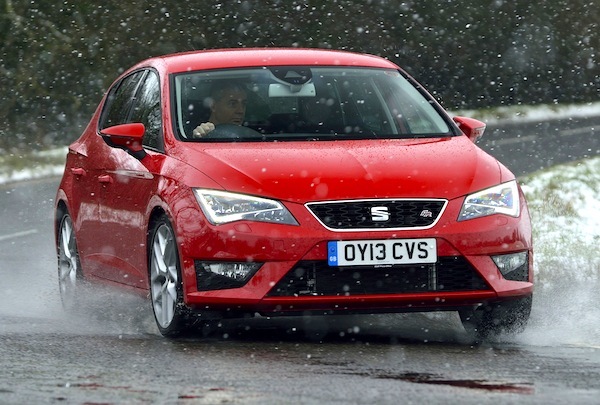 The Seat Leon is up to #3 this month in Ireland. The VW Golf ranks #2 and remains #1 year-to-date. With a limited market comes a volatile models ranking, and this month we have a lot of models shooting up the ladder. The Seat Leon is the most spectacular, up 19 spots to land on the third step of the podium with 2.8% share, the Toyota Corolla is up 34 to #5, the Dacia Duster lodges a 2nd month in a row inside the Irish Top 10 at #8, the Nissan Note is up 104 ranks (!) to #11, the VW CC reappears in the ranking directly at #21, the BMW X3 is up 38 to #22, the Seat Toledo up 99 to #28 and the Dacia Sandero is up 9 to a best-ever #37. Previous post: Ireland: 1974-2012 Historical Data now available! Full September 2013 Top 50 models and Top 30 All-brands Ranking Tables below. next post: Ireland October 2013: Opel Insignia and Dacia Duster on top!